Researchers are touting the benefits of some unlikely superfoods—and they come from the sea. Building mass without meat? For most gym dwelling dudes that’s blasphemy. But for those of you who already eat a plant-based diet or want to go vegetarian or vegan, there are some hard-hitting alternative protein sources you’ve probably never tried—and here’s the kicker: they come from the sea. A new report from the Institute of Food Technologists (IFT) is pushing tofu and tempeh to the curb and recommending three lesser-known, super nutrient-dense plants that can seriously up your protein intake. First up: algae. You’re experience with algae is probably limited to removing the slimy green stuff from your legs while treading through a lake or ocean. As unappetizing as that seems, algae is positively loaded with vitamins and minerals like A, V, E, folate, calcium, iodine, iron, omega-3 fatty acids, as well as carbohydrates and proteins. Algae can range in size and form: Macroalgae are visible to the naked eye and found in most ponds, rivers, lakes, and oceans, and microalgae are microscopic algae found in fresh and marine water. Interestingly enough, microalgae have the higher protein content. 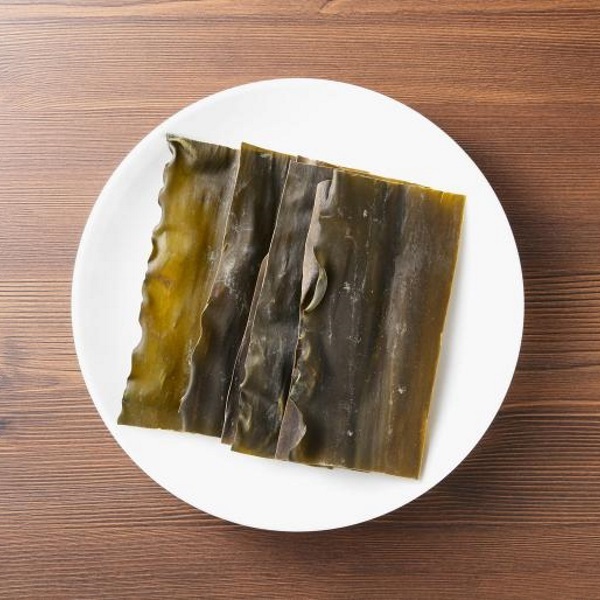 It’s composed of 70 percent protein, while macroalgae is composed of up to 50 percent protein. How to get it: Spirulina is an example of microalgae. You can buy it in supplement form or as a protein powder, both of which give you a natural energy kick that lasts throughout the day. Besides, part for part, spirulina has more protein and iron than 20% fat ground beef, according to the USDA. In just one tablespoon that you can add to a smoothie, you get four grams of plant protein. Red, brown, and green algae are all examples of macroalgae. We’re going to go out on a limb and say your seaweed consumption coincides with how much sushi you eat. That’s not a bad thing (so long as you’re not limiting yourself to tempura fried rolls). Most restaurants use red seaweed (specifically, Nori) to wrap your rolls, which is good—great, actually. Red seaweed usually has the highest protein content: 100g of Nori has up to 50g of protein, according to a press release. But, to be real, it’s unlikey you’d eat 100g in a day. The average sheet of nori is only about 3 grams. On a “per serving” scale, the seaweed has approx. 10 calories, 5 mg of Vitamin C, and about 1 gram of protein. Still, that’s a lot when you consider the amount of protein per calorie! Nutritionally, Nori is similar to peas or beans what with its amino acid profile, high amount of omega-3 fatty acids, and vitamin B12 content. How to get it: Dried Nori is sold in sheets that can be cut into strips to wrap rice and fish, or cut into small pieces to sprinkle atop soups and noodle dishes. Duckweed isn’t well-known, but it’s the smallest flowering plant in the world. This little plant packs a punch, though; its protein content can reach up to 45 percent, which is among the highest protein levels in the plant kingdom, according to the researchers. Typically duckweed is the foodstuff of birds and fish, but people in Laos, Thailand, and Vietnam eat the aquatic plant too. How to get it: We’re not sure if you can commercially buy Duckweed just yet, but the Food and Agriculture Organization of the United Nations has recognized it as a future food source.